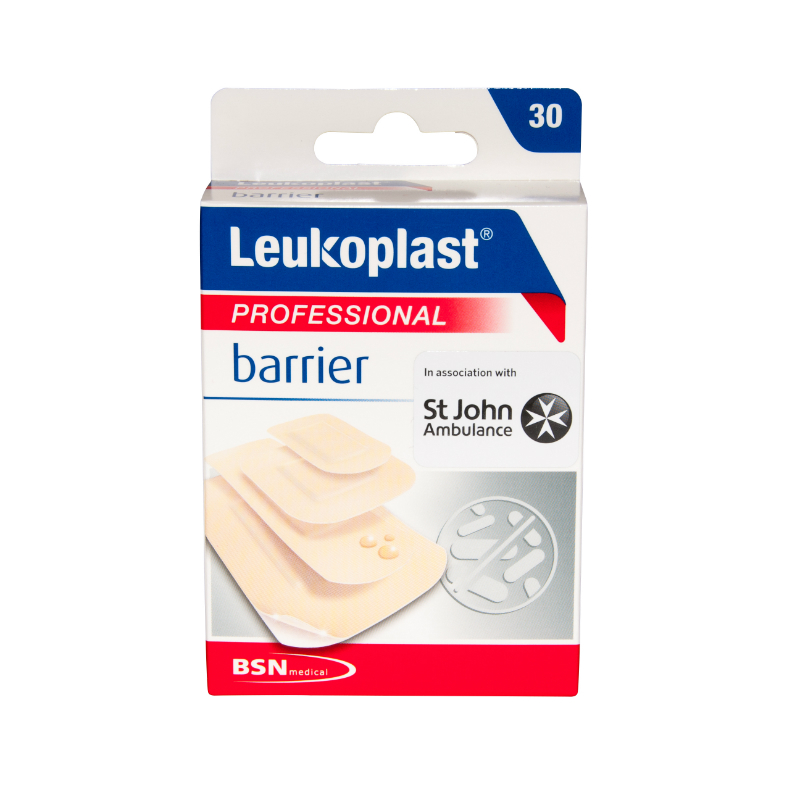 The water and dirt resistant Leukoplast Barrier Professional Plasters Assorted Sizes (Pack of 30) offer protection against infection and contamination creating a barrier while you wash or shower. This comfortable, breathable plaster provides two way protection against bacterial contamination whilst remaining latex free. The durable Leukoplast Barrier is ideal for cuts, grazes, lacerations, and abrasions. The Leukoplast Barrier Professional Plasters Assorted Sizes (Pack of 30) is usually dispatched via First Class Royal Mail and delivery should be within 1 to 3 working days.